Farmers and ranchers show interest in growing and using Hemp. A recent Farm Journal survey of 950 farmers and ranchers across the United States found that although almost none of them currently grow any form of cannabis, about half would consider doing so – and many would consider using it. HEMPCRETE- the ultimate sustainable building material- Hempcrete (Hemp concrete) is a bio-composite material made from a mixture of hemp fiber and lime. 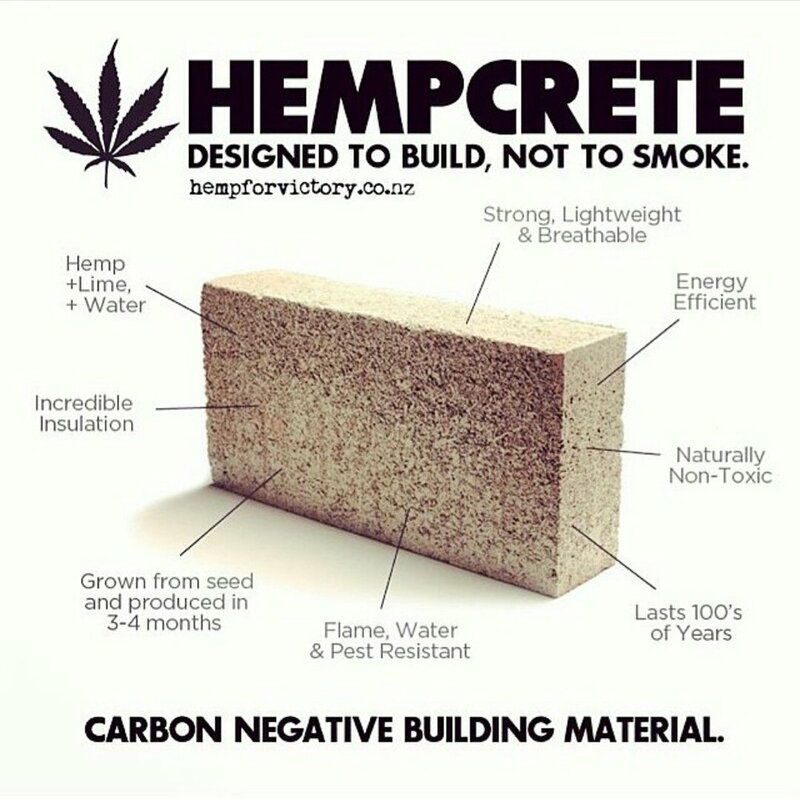 Hempcrete is incredibly strong and lightweight. It is naturally flame, water and pest resistant and lasts 100’s of years. Hempcrete is naturally non-toxic and works and an incredible insulator making it very energy efficient. This could completely change the way modern buildings are constructed. · Bio Distribution expects 1.5m seeds produced and ready for planting by June 2019 and another 10m seeds ready for sale by early 2020. · And lastly, a 90 to 1 reverse stock split along with the official name change to Celexus, Inc.
To read our filing, go to https://www.sec.gov/cgi-bin/browse-edgar?action=getcompany&CIK=0001355559&owner=exclude&count=40. Follow us on Twitter at @celexusinc and visit our website at Celexus-inc.com to stay up to date on future filings and news. Although we are a hemp-only company, any legal developments towards cannabis freedom is a win. Phoenix, AZ; January 15, 2019 — Telupay, Inc. is pleased to announce that it is in the process of having its request for a new ticker symbol, a substantial reduction in issued and outstanding shares in the market and a name change, which will be Celexus, Inc., reviewed. Upon completion of the review of the notification by FINRA, Celexus will be listed on the OTC and available for continued public trading. Celexus, Inc. was conceived to be a holding company for the acquisition and management of promising, early stage, high-growth businesses and technologies. Our strategy is quite simple really; Get in on the ground floor and help these companies to the proverbial top floor. Due to the recent passing of the Farm Bill, Celexus now feels very comfortable in entering the rapidly growing Hemp and CBD market. It is estimated that hemp biomass has over 50,000 uses including replacing plastic products, paper, clothing, building material, etc. Additionally, hemp and CBD provide incredible medical benefits. It has been reported that CBD oil can treat hundreds of medical issues such as anxiety, depression, pain, arthritis, insomnia, anorexia, heart disease, diabetes, asthma, several types of cancer, Alzheimer’s, dementia and epilepsy, just to name a few. It is these reasons, along with the environmental impact associated with hemp, that is driving us to become a key player in such an important market. Our objective is to become a leading supplier of both hemp biomass, CBD oils and isolate to end users internationally. In order to achieve this goal, we intend to participant in the process of growing, harvesting, drying, extracting and the refining of the end product with an emphasis on pharmaceutical grade CBD. Now that the 2018 Farm Bill has now been signed into law in the United States hemp has been made legal at the Federal level. This new law removes hemp from the Controlled Substances Act (CSA) and paves the way for the development of hemp as an agricultural commodity. Hemp can be used to produce a myriad of products from super foods to cannabinoid infused cosmetics, personal care products and beverages. In addition, there are a multitude of industrial solutions including textiles, carbon negative building materials, non-toxic bio composites and much more. The law removes many uncertainties for the industry that will allow businesses alike to obtain the most basic business services that are enjoyed by every other industry, which until now, have been very difficult to obtain. It is expected that this new law will allow companies in the industry to operate more freely than they have been able to up to this point. This long-anticipated Farm Bill allows farmers nationwide to cultivate hemp for any use, including cannabidiol (CBD) and other cannabinoid production. The definition of hemp has been redefined to include any part of the plant including all derivatives, extracts and cannabinoids. This will now mean that hemp-derived cannabidiol (CBD) will no longer fall under the regulatory authority of the CSA. One of the most important outcomes of the new law is that businesses will soon be able to secure ordinary banking services without fear of having these relationships terminated. The hemp industry has been considered a high-risk industry in the banking community until now. With the passing of the Farm Bill, hemp is well on its way to becoming an agricultural commodity that farmers can generate far greater returns per acre than any other crop. Farmers will also soon be able to obtain crop insurance to manage the risk from natural disasters that could potentially wipe out an entire crop, as well as other forms of insurance not previously available. It’s also only a matter of time before futures and options are offered on the major commodity exchanges like the Chicago Board of Trade (CBOT) or Chicago Mercantile Exchange (CME). Similarly, a major carbon credit play is on the immediate horizon because of hemp’s ability to sequester more carbon in the shortest period of time, more than almost every other plant on earth. Hemp is among the best plants on earth for the provision of food, clothing, building materials, fuel, and medicine. Hemp could potentially be the most industrially usable biomass produced over the shortest growth cycle, utilizing the least amount of water, nutrients and pesticides, while sequestering the greatest level of carbon. It is one of the few plants that can be grown commercially almost anywhere in the world. The potential economic stimulus to the United States and Global economy is significant. The Brightfield Group projects a $22 billion hemp industry by 2022, but that only considers the direct impact from hemp, it does not include all of the ancillary industries that provide products and services to the hemp industry that will also see significant economic stimulus, such as legal services, banking, accounting, investment, real estate, processing and manufacturing equipment makers, engineering, marketing and advertising, technology developers, to name a few. The hemp industry requires many of the same products and services that every other industry needs to operate, but until now 9 out of 10 companies in any industry would not engage in business with hemp companies because of the Federal legal status. Post Farm Bill projections for the growth of the hemp industry will likely expand significantly more than previously expected, making 2019 a banner year for the hemp industry. Porsche has just released their first race car made out of hemp. The hemp fiber is being used similarly to carbon fiber to create stronger, lighter body panels as well as cloth and stitching in the interior. This is another big step in the right direction for hemp! The levels of pollution created by humans in the last 100 years is simply unacceptable. It is time for us to use the “no-brainer” alternatives to plastics, Hemp. Biodegradable plastic is a very important step in the recovery of our planet. Our oceans are plagued with garbage. Scientists estimate that by 2025 there will be more plastic in the ocean, by weight, than fish. This is simply unacceptable. Hemp has the answer. Shares of Telupay International (TLPY) are heading in a near-term positive direction as the most recent close of the company has stayed above the Balance Step. The Balance Step reading takes into account the last 5 balance points of the weekly period plotted in step formation on a daily chart. In May, the FDA wrote to the DEA that CBD has no significant potential for abuse and could be removed from the Controlled Substances Act. Coca Cola announces its interest in CBD infused soft drinks. Coca Cola has recently sat down with a Canadian cannabis company to have a serious discussion about creating a CBD infused soft drink. The announcement of their interest into CBD soft drinks raised current cannabis prices across the board an average of 9%. Imagine when they actually start producing this beverage. On Monday, June 25, the U.S. Food and Drug Administration announced that it has approved the CBD anti-seizure medicine Epidiolex. This marks the first medication from cannabis to be approved by the FDA. This is a massive win for the hemp community and a very important step towards clean, natural and renewable sources for medication.